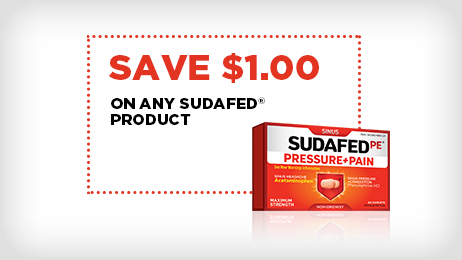 All SUDAFED® products are indicated for the temporary relief of sinus pressure and congestion. Carefully read the entire label including the directions, and do not use these products for longer than instructed. If your symptoms persist or get worse, stop use and see a doctor. This may indicate a more serious sinus condition.